I'm not active on my personal Facebook account. At all. The real reason why I'm still on that platform is because my personal account is needed to run my blog's page, Heart Print & Style. But, I am pretty active in some of the FB groups I've joined within the past couple of years. Another one tacked onto my growing group list is Fearless Woman, I Am created by my friend, Whitney of Whitney Nic James. 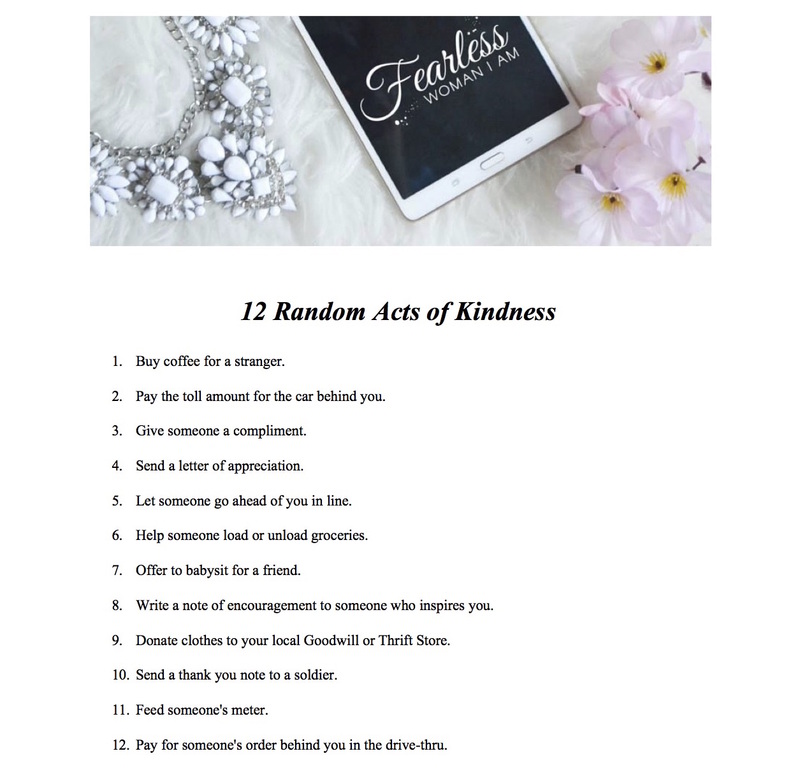 She recently posted her 12 Random Acts of Kindness challenge and I knew it had to be posted on my blog. Just as a reminder to myself to do something nice for someone. So basically, just spreading the word image. Anywho, as stated above, just spreading the image. Join in on the challenge.